At last, we have arrived at the big summing-up of our ten volunteers’ experiences from mid-March 2010 to mid-March 2011. Readers new to this year-long project following the changeful lives of our dedicated band of researchees should click HERE to access the whole Archive, set out chronologically. On 7th,8th and 9th February 2011, you have seen what the third and last Jupiter/Uranus conjunction of 2010/11 brought to the already disrupted lives of “Giorgio”(28) “Maria” (32) “Harry”(41) “Eve”(51) “Alicia” (53)“Kathy” (54) “Caroline” (58) “Louis” (60)”Fiona”(61) and “Barbara”(81) : the group of ten volunteers who have been generously opening a window on their lives since the Spring of 2010 – to enable the rest of us to see ‘astrology in action‘. Today you can read their vivid and wide-ranging ‘takes’ on what have been the most important collective events from “Tales of the Wild Ride” Phase 3 – from Autumnal Equinox 2010 to Winter Solstice 2010, through to the first week of January 2011. (Iceland) Three events occurred in November and December that were very remarkable: the Korean crises (near-war), the Wikileaks worldwide disclosures, and the talks of the Euro collapse as the Irish asked for a bail-out along many street protests in Europe. Midterm elections and all the so called “Independents” flipping over to vote Republican as a way of protesting the Administration’s policies. The compromise that went on that resulted in the extension of Unemployment benefits, but also the extension of Bush’s tax cuts (Saturn in Libra). The first person cured of HIV (Neptune/Chiron conjunction in Aquarius). 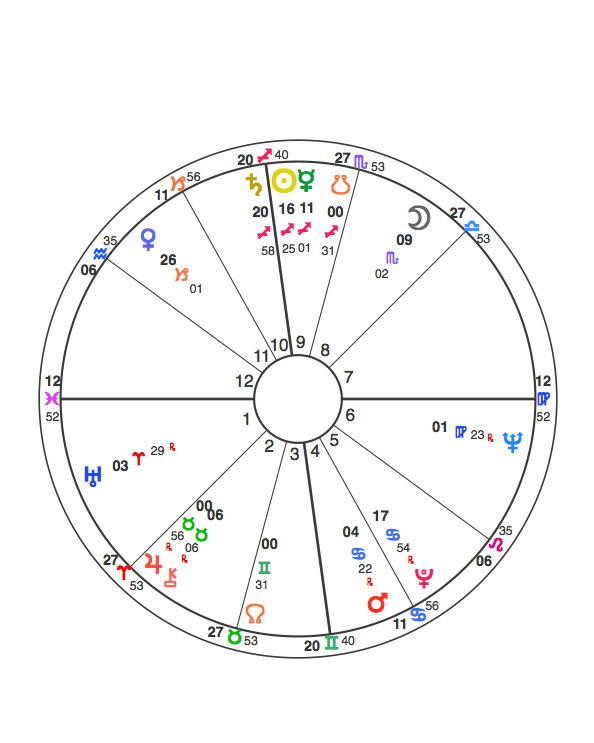 The Australian floods (Jupiter/Uranus conjunction in Pisces). The political shooting in Tuscon, Arizona. Here in the States we had the Midterm Elections which predictably upset the Democratic controlled apple cart which really felt like the People tapping into their Uranus-driven need to shake things up. We also saw an unusual amount of snow and ice storms in places that don’t usually get them (the South, for instance) with even stranger weather overseas with more snow in Europe and now historic flooding in Australia, all of which feel positively Jupiter in it all being a bit too much. And, of course most recently, the shootings in Arizona. In fact, there were several shootings — not as newsworthy, though — which took place throughout the States in the weeks leading up to the Arizona shootings. 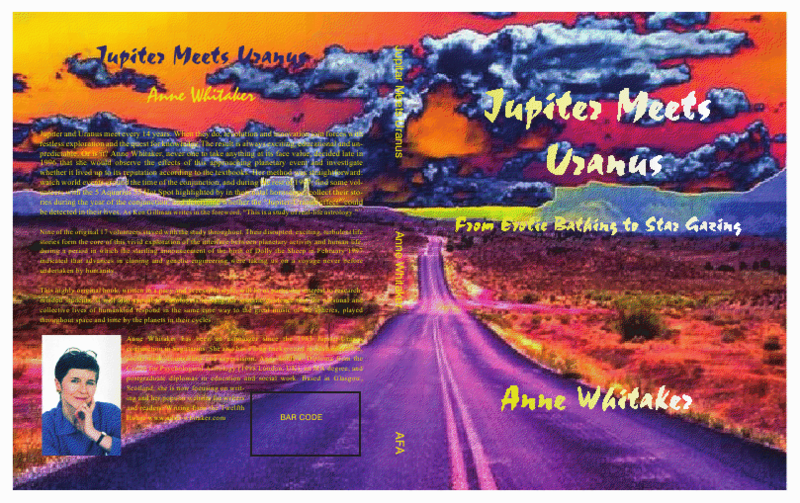 Seems a lot of people are having difficulty channeling the unpredictable energy of Uranus and Jupiter. There was again lots of flooding in many parts of the world. The political upheavals continue, but seem to have mellowed out from the outright hatred and rebellion that marked the beginning of the period. The president’s approval rating, as of today, is 58%–rather shocking, as when he was elected it was only 53%. There seems to be a sudden upswing in positive thinking, with more people convinced the economy will improve. 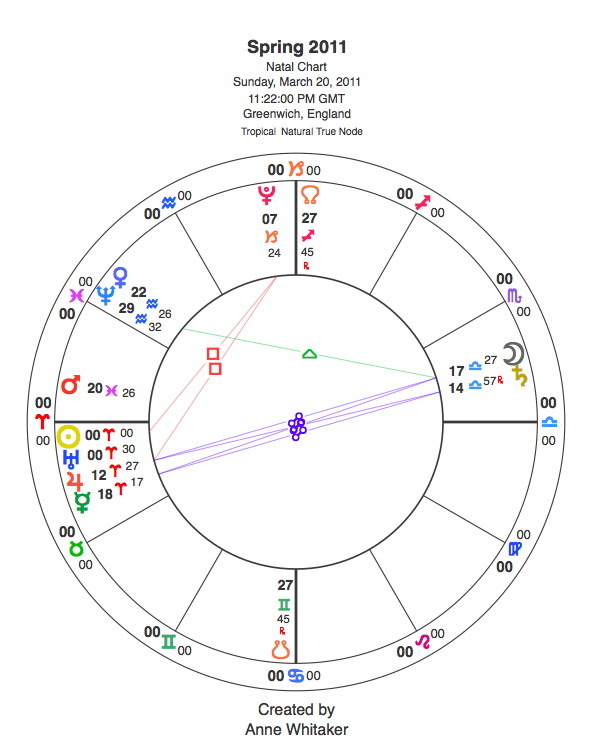 I think there was a general feeling of global instability and the fear that accompanies it during the transits, which seems to be abating. There also seems to be a great deal of debate about how we connect, and the future of communication—social networking, etc. The film, The Social Network, is on top of everyone’s ‘must see’ list—the story of Facebook. There seems to be a lot of debate about the importance of ‘real’ presence as opposed to the lure of ‘virtual’ presence (through texting, etc.). I read an article that predicted that phone conversations will be passé soon. Everyone will be texting. Thumbs at the ready. I think the big question is, “Have we moved forward, or have we just been shaken up?” I’d like to think we’ve found some filaments of progress, but most people I’ve spoken to about this feel as if they’ve just been whizzed through a blender. (Finland) As soon as Pluto went direct the corruption scandal involving our ex-pm and his party surfaced again in a big way. Now he is under police investigation. 12 October, 2010 TV discussion about the rights of homosexuals to a marriage in church started a mass movement out of the church. In 2 wks more than 40000 people resigned from the church (by the end of the year the number reached 80000). This is all Uranus and Jupiter in Pisces, Pluto in Capricorn stuff. 30 November, 2010 the cabin crew of the two main airlines in Finnair went on strike (Mars square Jupiter effect I think). 29 December, 2010: Main paper in Finland wrote: Anarchism on the rise. Front page on foreign news section about this subject. Completely new take and approach by the paper. 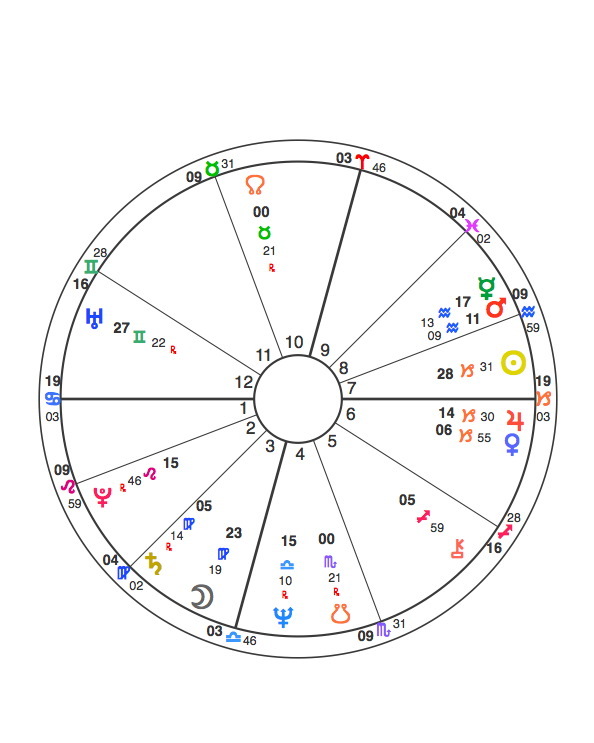 So Mercury R in Sagittarius and Pluto in Capricorn, Uranus/Jupiter conjunction approaching. (UK) It seems clear that everything is changing, though the powers that be will try their best to stop it. Wiki-leaks, UK Uncut, student protests, tax protests and the power of the internet in rallying people to support anti-establishment agendas all mark a sea-change in the way that dissent is organized. It may not be successful but it is a start. The weather also seems to be providing a dissident drum beat. Grief obliterates a great deal besides the dead person. I can vaguely recall my usual outrage and indignation at various political events in this country- The Nov. elections and the take over of the House of Representatives by the Republicans, but mostly I continued to worry about the environment and the planet and Global Climate Change. And human stupidity and short sightedness. The biggest event was the November elections in America with the Republican Party winning back the House of Representatives. Looks like more gridlock in our future. I was off from work until Oct. 6th 2010, recuperating from my tendonitis, bursitis and shoulder impingement. Since the initial injury on August 18th, I have had continuously pain in my left shoulder. My elderly Aunt’s mental health has stabilized since this summers realization that she has dementia. My cousin has moved in to live with her and she now has a companion full time. We had more restructuring at the Post Office where I work and have worked for thirty years. There were more consolidation of jobs, bringing additional duties to everyone in the workplace. On January 7th three days after the last conjunction, the new Postmaster General announced a reduction in force and a voluntary early retirement in the wake of billions of dollars in losses. 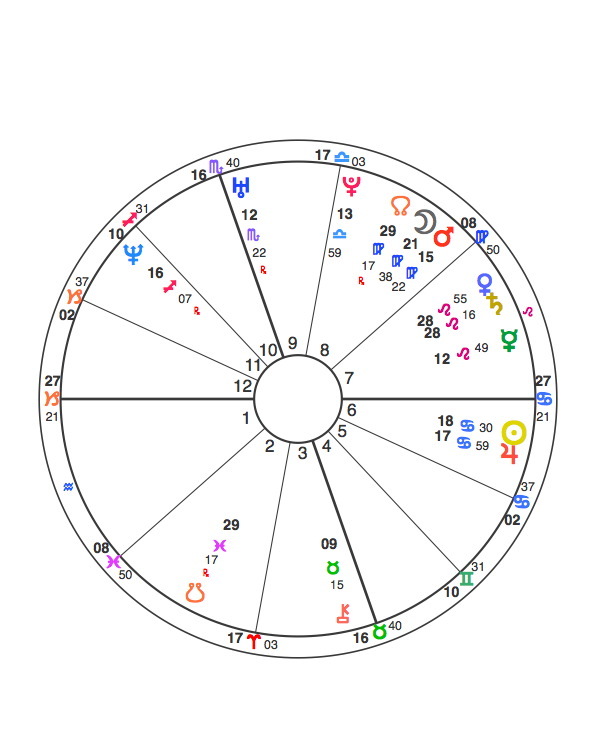 Could this Pluto/Saturn restructure cause me to gain an early retirement? Or, will I be destined to have shoulder surgery and endure three more years, until I reach minimum retirement age of 55. Stay Tuned…. Jupiter rules my fourth house. My entire household has been in upheaval due to the fall out from my father’s death in August. My mother moved in with me, and there have been many adjustments and surprises along the way. We are discussing moving away from this area, which I have mixed feelings about. One of the things I have had to come to terms with during this period is that my life is very different now (compared to pre-transit)—I’m now successfully free-lancing full time, which causes adjustments of its own. From the time Jupiter turned direct, I’ve had a slew of clients, almost too many to keep up with. 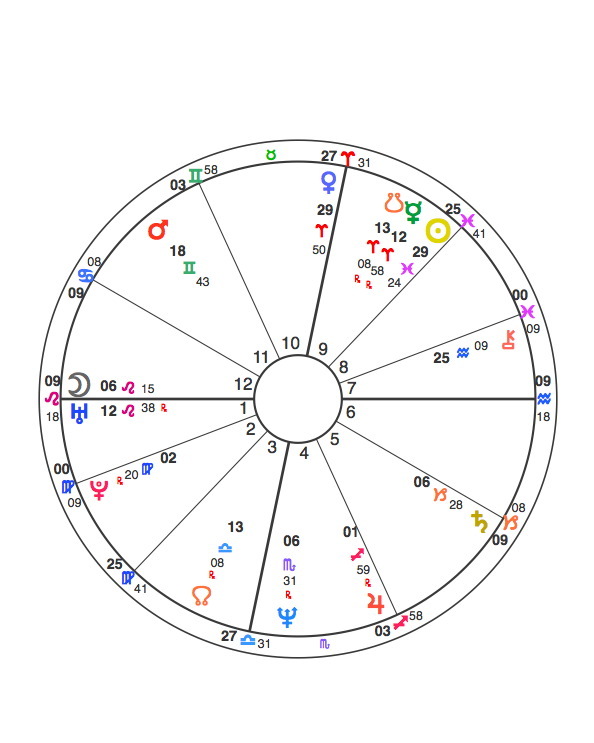 Jupiter is conjunct a 12th house Sun and Uranus is conjunct an 11th house Moon in my chart, and I feel very strongly that this transit has created a bridge between my past and my future—life makes sense now, suddenly, and for many years, it hasn’t. 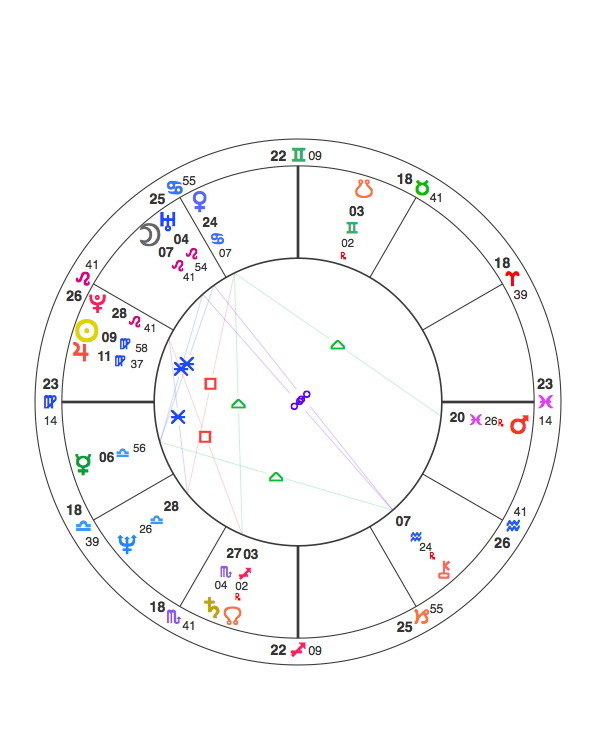 The Jupiter/Uranus conjunction in Aries falls opposite my Mercury, which rules my 10th and my first house. Both my sense of self and my professional life got the Jupiter/Uranus zap. When Mercury entered Capricorn, it seemed as if, finally, all the pieces fell into place. My niece, who was on the brink of death last summer when the transit was on her Mars, has undergone a radical personality change (for the better). Seems as if she has embraced her life in a new way. 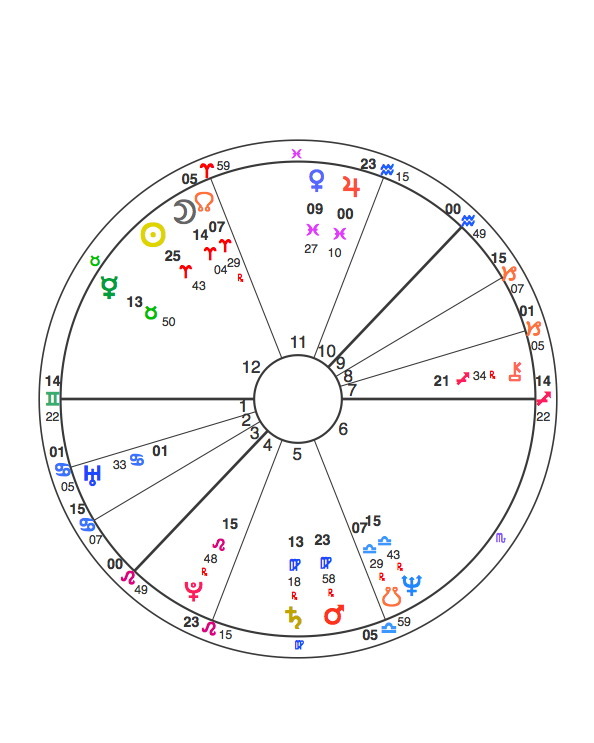 Everything so sweet and cuddly with Vertex (Ed: Kathy’s Ex) when Mercury entered Libra but then, Venus hit my Moon in 4th house to go retrograde on the Moon 8 Oct (and then to turn direct on my 4th house Neptune in the last degree of Libra 18 Nov), and the whole relationship changed shape. Now I think it’s over. Horrible 6 weeks. My lovely ex became an ex-ex. 11 October I received a letter from the tax man. They are asking me to pay € 7500 in back taxes. This is a complete mess. I really hated this Venus R in my 4th. 14 November, 2010: Major tooth problem (I blame Pluto hovering at the cusp of my Saturn ruled 6th house and digging up all kinds of stuff). 30 November, 2010 declaration of love from Vertex, out of the blue. 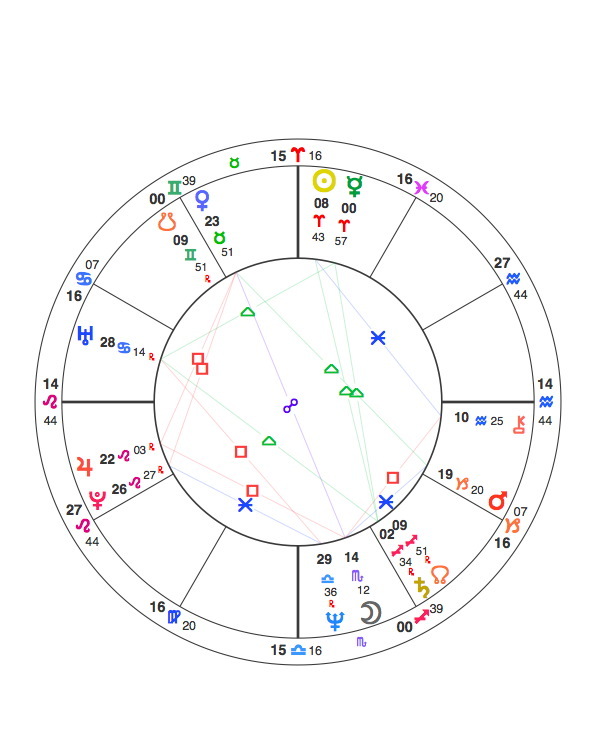 Uranus SD 26 Pisces 41 (my 9th) sextile my Sun/Moon 26 Capricorn 26 (my 6th) and approaching, once more, conjunction with his Sun/Moon 29 Pisces 52 in 1st house. Mercury into Capricorn the next day. 5 December, 2010: Realized my sister’s health has deteriorated rapidly. 7 December, 2010: Technical problems with the central heating in our building, dry and hot like Sahara desert. Lost voice completely, fell sick. 13 December, 2010: Took a knife in my hand and let the Freon out from the fridge. I was hoping for a red sports car to transform my daily life. 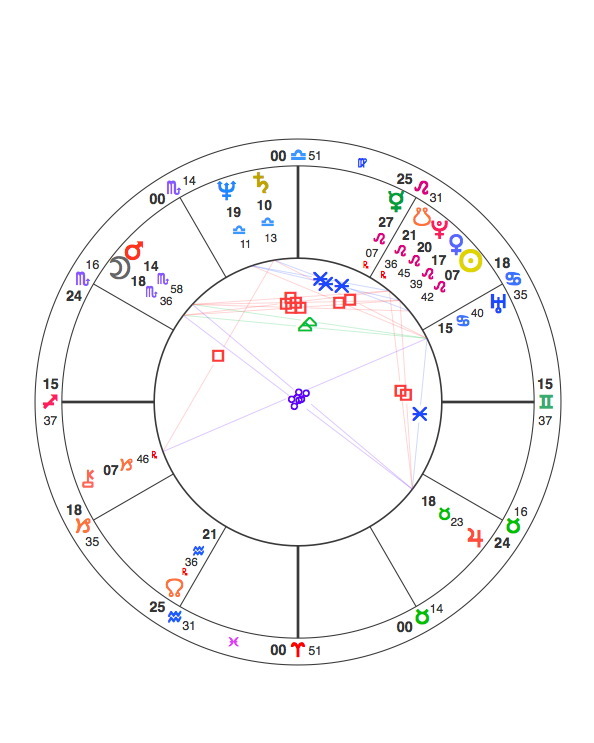 Mars/Mercury/Pluto conjunction in 6th. I think this was really funny: the planets showed me their versatility. 17 December, 2010: A dear friend went into hospital after losing suddenly the sight of one eye. 20-23 Dec, 2010: On sick-leave (I am the healthiest person on earth, or was until recently). 24 December, 2010: More bad news about the health of my friend’s husband in Cyprus. He desperately needs a 3rd kidney transplant but he is too sick to go through the operation. WHY IS EVERYBODY’S HEALTH AFFECTED IN SUCH A WAY? We were at some airport: me, Vertex and some lady unknown to me but clearly known to him, probably his secretary I thought. He was very boisterous, also flirting heavily with the other lady. Then he approached me in a hasty way and gave me a plastic bag full of connectors/adaptors. After that he escaped from the sight. I woke up and knew instantly what the dream was telling me: in November Vertex went to Istanbul (for real I mean) for a medical conference. In his mail he said “we” are going to Istanbul. I didn’t ask who “we” is because at that stage I had no interest whatsoever regarding his activities. Now I know as surely as he told me himself that the “we” was the secretary Eleni and him and that they slept together during the trip. 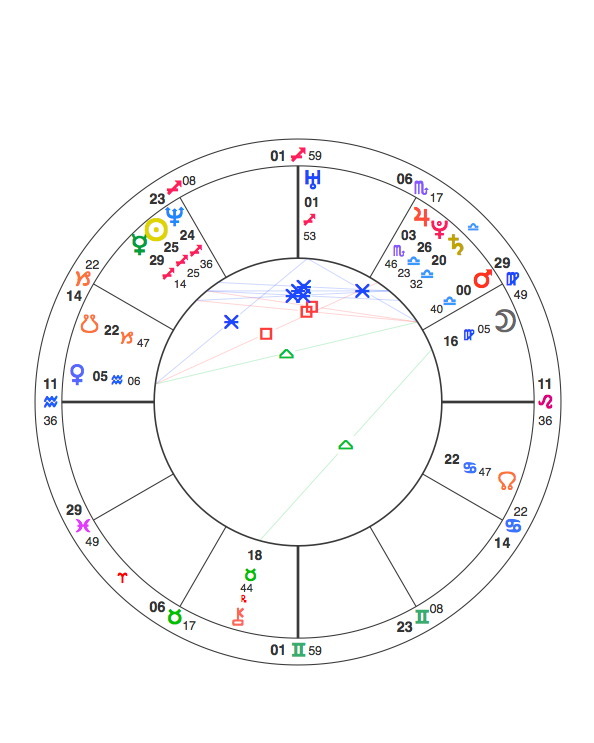 I finally made the connection, thanks to Jupiter and Uranus activating (again) the Mercury at AP in 9th house – Uranus in 12th – Saturn in 5th triangle. 10 January, 2011 IRS wants all of € 7500. That is my 3 months’ net income. I don’t know what to do about this. The Autumn continued the major changes that I had started earlier in the year. My 5 month career break resumed with my decision to quit my old job! I started a new job in November (totally different field) for only 2-months, as in January I came to do an internship in (yet) another field and also in another country. Even more interesting, is that I am also planning for a big travel oversees for later in 2011. So many new paths!! This is happening as natal Uranus squares my natal Sun and Mercury, and opposes my natal Mars. Jupiter turns direct 19.11.10: this was around the period I found the new job and quit the old one! 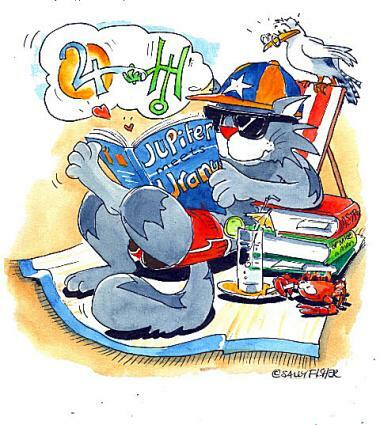 Jupiter conjuncts Uranus in 4.01.11: this was when I started the new internship! I moved into my new apartment. Feeling a bit anxious over my dwindling account balance, I signed up to several employment agencies but have yet to receive an assignment. Even though I have no income coming in, I bit the bullet and decided to visit a friend in Georgia in late January. I may have the opportunity to write songs with this person. Also, a friend of mine with a website asked me to start writing for the site. None of this is paid, but I’m hoping it will pay off down the line as I really do love writing. I, also got a Numerology Career reading and out of all the careers given writing was by far the career i’m most suited for. 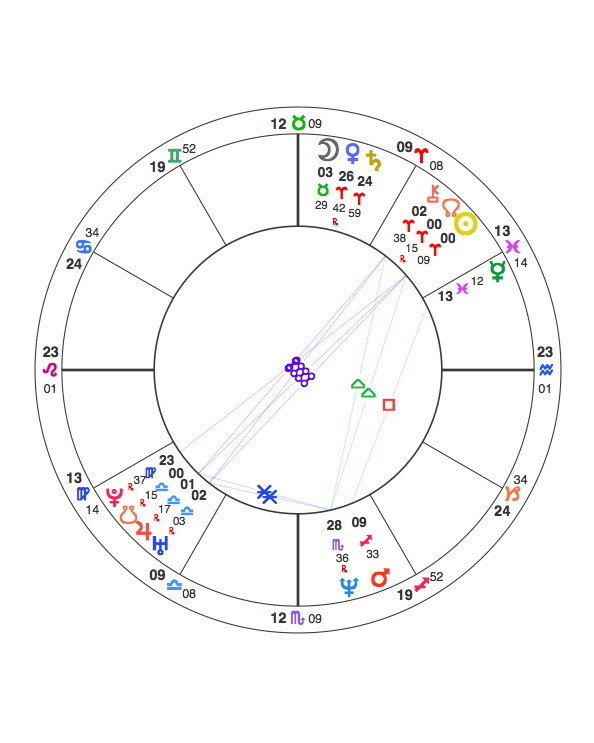 The day Venus stationed retrograde in early-October my partner (a 7 Libra) suddenly discovered the relationship with the company in Zurich he had been working with since early-August was not what it appeared to be. His work with the company ended very soon thereafter. A couple of weeks later he discovered a second, more solid company in Zurich very interested in meeting with him, a process — with everyone having checked out for the holidays — beginning this month, January.